In order to go viral, you need to create exceptional content which gets liked and shared all over the web and through social media. This is the way to generate a ton of traffic. When content is really interesting or unique, it has a better chance in going viral. There are so many platforms out there to help content go viral. Everything from Facebook, Twitter, Instagram, Reddit, YouTube, etc. In this guide you will learn various strategies and tactics in getting your content making the rounds all over the web. You’ll discover how to exploit trending content, how to share your content all over social media, how to filter your content formats, how to implement niche targeting and much more. Content doesn’t go viral necessarily because it’s blowing everyone’s socks off. Often times, content that doesn’t seem all that special can be liked and shared and generate tens of thousands of views. It’s really about how content is digested in this day in age and if it solves a problem or is especially unique or entertaining, the chances are high that it can go viral. Going viral as in generating a billion views or a million views…it all helps to build your brand and online visibility. And the more content you can produce and the more that is shared, the better for your business. You’ll learn truly how to go viral with this guide. 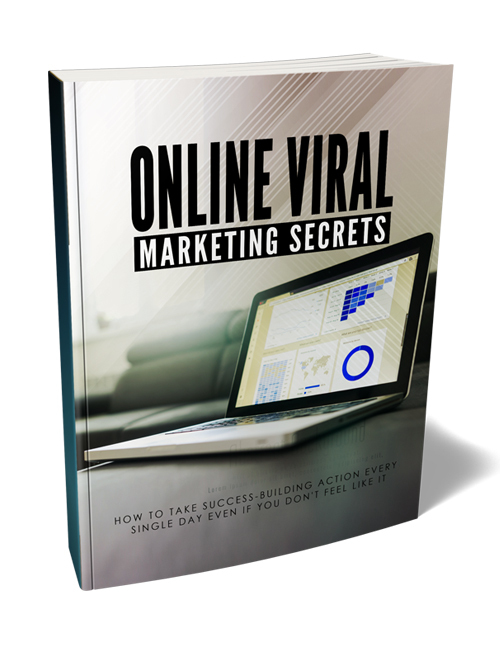 Also be sure to grab the Online Viral Marketing Secrets video course for easier learning. Get it now.